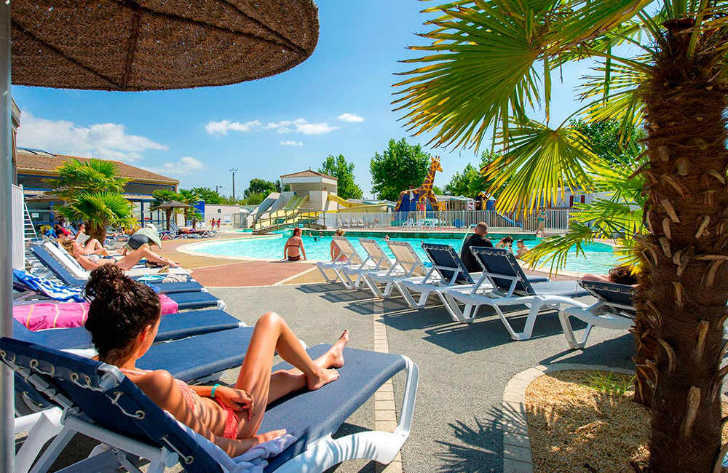 Camping Loyada is a 5 star campsite located in Talmont-Saint-Hilaire in the Vendee region of France. Camping Loyada is a lovely spacious 5 star campsite that is set within 5 hectares of grounds on the outskirts of Talmonst-Sainte-Hilaire. This popular and spacious family friendly campsite offers visitors a comprehensive range of activities and facilities both onsite and also nearby to ensure that you have everything to make your holiday special. The nearest beach to Camping Loyada is the Plage du Veillon. Located approximately 4km away the beach, which lies at the entrance to the Payre river, is around 1.5km long and is covered in lovely golden sand. Plage du Veillon is one of the more popular beaches in the area with a sand spit which creates a calm lagoon type area which is more sheltered from the elements. During high season you’ll find that the campsite even offers a regular free shuttle bus to the beach. Camping Loyada really does occupy a brilliant location. The beaches and coastline are within a short distance as is a wonderful town and further afield you can also find a whole variety of places to visit and things to see. Those looking to make the most of onsite activities won’t be disappointed. At the heart of this fantastic campsite is the swimming pool complex which boasts both indoor and outdoor heated swimming pools, children’s pool and even some water slides. Adults will also love the pleasant spa area. Camping Loyada provides a great range of activities and facilities for all members of the family so no matter how active or lazy you want to be, we’re sure that there will be something to meet your needs. On site activities at Camping Loyada include multi sports ground, table tennis, boules, playground, bouncy castle, trampoline, archery, cycle hire, archery, climbing wall and sports games and tournaments. Facilities available at Camping Loyada campsite include WIFI, snack bar, take away, bar, animation team, grocery shop, games room, tv room, washers and dryers. Accommodation at Camping Loyada includes a range of tents and also 1, 2 and 3 bedroom mobile homes that are available from Suncamp.